Éamon de Buitléar and Dr. Rory Harrington gave a joint lecture in Óstán Ghobnatan (The Abbey Hotel, Ballyvourney) at on Sunday 2nd October, titled “Exploring the Nature of Ireland’ Countryside”. Ireland’s countryside, its nature and the quality of life that it offers was explored with some suggestions as to how it might be better managed. Human society struggles to reach a balance between real needs and the wants of individual and sectoral interests. This struggle is fundamental to human nature; balancing the needs as understood by informed consensus with the demands of individuals and sectoral interests. The presentation gave ideas, with illustrations of how this needed balance might be better achieved, explored how we might create greater community engagement in which collaboration, awareness, interest, involvement and commitment are promoted. The video of the talk will be here online soon! Is déantóir scannáin é Éamon de Buitléar atá ag plé le cláracha faoin dúlra le breis is caoga bliain anuas. Is ceoltóir traidisiúnta é agus ba chara mór é le Seán Ó Riada. Chabhraigh sé leis an Riadach ceoltóirí a roghnú don cheolfhoireann tíre Ceoltóirí Chualann. Bliain tar éis don Riadach bás a fháil bhunaigh Éamon a ghrúpa ceoil fhéin Ceoltóirí Laighean. Tá cuid mhór dá shaol caite ag Éamon ag miniú cúrsaí tímpeallachta do phobal na hÉireann lena chuid scannáin is a chuid leabhar agus ba mhinic leis iarracht a dhéanamh na cúrsaí sin chur i bhfeidhm ar pholasaí rialtais. Sa bhliain 1991 do bhronn Ollscoil Naisiúnta na hÉireann Céim Oinigh Eolaíochta air (DSc.) Sa bhliain 1992 tugadh dó an Damhachtain Éachta Comhshaoil Ollscoil Bhaile Átha Cliath (UCD). Tá Éamon de Buitléar fós ag gabháil de chursaí scannánaíochta agus ag seinm ceoil. 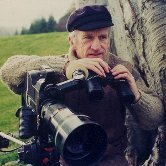 Éamon de Buitléar is an independent filmmaker and has been involved in natural history programmes for many years. His series Amuigh Faoin Spéir (Out Under The Sky) gave audiences their very first opportunity to watch programmes on Ireland’s wildlife. He has had a regular series of programmes on the home station ever since his early days of broadcasting. His award winning wildlife TV series, Ireland’s Wild Countryside, was consistently in RTE’s Top Ten programmes. A later 24 part series Wild Islands, was commissioned by RTE, STV and S4C. These programmes featured the wildlife of Ireland, England, Scotland and Wales. His films on Ireland for the BBC’s Natural History Unit have been seen coast to coast in the USA, Canada, Australia and New Zealand. Éamon is also justly famous for his contributions to music in Ireland, and was involved in Irish traditional music with Seán Ó Riada and was later involved in the establishment of traditional music group Ceoltóirí Chualann 1961-69. Has had a multi-facited career as forester, geneticist, evolutionary/wildlife biologist and ecosystem scientist. He was Divisional Inspector with the National Parks and Wildlife Service and Senior Scientist with the Water Services Division of the Department of Environment, Community and Local Government. He is presently Senior Resident Engineer with Waterford County Council. He is author and co author of a wide range of scientific peer-reviewed publications. He is a graduate of University College Dublin and Yale University, USA. He has a long established interest in exploring and understanding complex biological systems including those within and between species, communities and ecosystems.